The prospect of having to have your teeth straightened can conjure up images of metal braces with wires that irritate your teeth, lips and gums. But teeth straightening procedures have come a long way over the past few decades. Thanks to the latest advances in dental technologies like Invisalign, patients all over Abbotsford can straighten their teeth without anyone even noticing that they’re wearing braces. 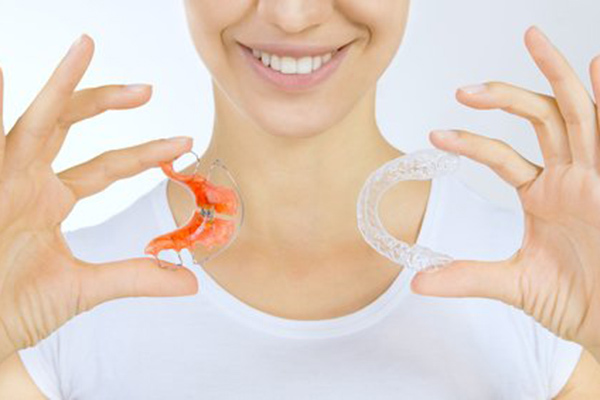 Keep reading to learn more about Invisalign and the five biggest benefits it has to offer. The feature that makes Invisalign a favourite with patients everywhere is the fact that it is barely noticeable. Unlike metal braces, which can be a source of embarrassment for teenagers and adults alike, Invisalign braces let you smile with confidence while you straighten your teeth. Invisalign braces are custom fitted to your mouth for comfortable daily wear. Without the brackets and metal wires of traditional braces, there’s no risk of cutting, scratching and irritation. Unlike metal braces, no special apparatus is required to clean Invisalign braces. When you want to clean them, you simply remove them from your mouth and give them a rinse. It couldn’t be easier. Because there are no brackets that trap food, you can still eat all of your favourite meals with Invisalign. All you have to do is remove them before you eat, then rinse out your mouth and replace them when you’re finished. Provided that you wear your Invisalign braces for the recommended time of 22 hours per day, your teeth will straighten much faster than they would with traditional metal braces. Invisalign braces will also save you time spent at the dentist’s office because you won’t need to have checkups and adjustments as frequently as you would with traditional metal braces. For results that are custom made to give you the perfect smile, talk to one of the dental health professionals at Medora Dental Care about Invisalign today. Whether you’re interested in learning more about Invisalign braces, or you just want to book a routine checkup, the team of friendly and professional dental health care specialists at our Abbotsford clinic are here to help you achieve the smile you’ve always wanted. Contact us today to learn more about the services we provide or to schedule a checkup. Get the healthy smile you deserve with Medora Dental Care!